Hobbies: Some of his hobbies include soccer, the Packers, and coffee. Why I serve on the GGF NC: Pastor Brent has a heart for leadership development and loves to challenge others to develop and own their own faith. 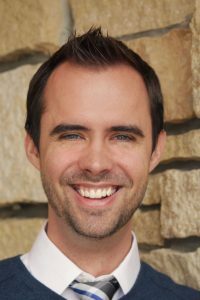 Short Bio: Pastor Brent Befus graduated from Grace Bible College with a Bachelor of Theology degree and was later ordained by the Grace Gospel Fellowship in 2016. For a year after graduation he served at Grace Bible College as a Student Life Intern. Pastor Brent’s family background is rich in ministry experience as his parents were missionaries for six years in Costa Rica and then six years in Mexico. Pastor Brent speaks fluent Spanish.